This is the name of the exhibition located near the entrance and part of the “Global South” venue of the 2017 Shenzhen Biennale. One of its kind and being the most important culture event in the city, the Shenzhen Biennale took place in a so-called “Village in the City”, Nantou Village, a typical informal settlement in the Pearl River Delta of China, for the first time in history. Correspondingly, “Location, Location, Location” features informal settlements more than 9000 km away in Nairobi. On show until March 2018. The curators of the exhibition are Zhengli Huang, a Chinese architect working on African urbanization, Naomi Hoogervorst, urban planner from Placemakers, and Njeri Cerere, an urban planner from Citilinks Africa. 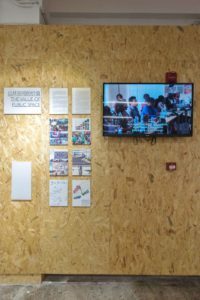 The exhibition has two parts: the first explores and demonstrates the surprisingly active real estate business inside Nairobi’s crowded slums. The second showcases the variety of practices of intervention in public spaces in these slums. The contrasts and connections of these two are embedded in the analysis on the wall. It exhibits that the problem of slums is not a matter of providing shelter or housing for the poor, but rather of providing infrastructure and services that can capitalize upon economic and social development in such communities. 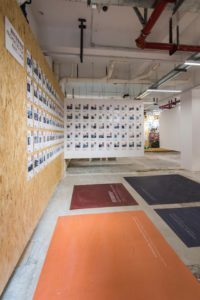 The curators interviewed 112 households in 4 different slum communities in Nairobi, and translated them into a group of real estate advertisements. 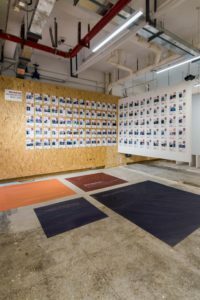 The imaginary advertisement is a reflection of the reality and draws the audiences in Shenzhen to have a closer look at the lives of residents a strange city. A comparison between the slum real estate and similar business in other parts of the city shows that the productivity of slum real estate can be surprisingly high; although rooms in the slums are extremely small, their capacity for housing tenants and the per-squaremeter rent they generate can be much higher than those of a luxury house in Runda. 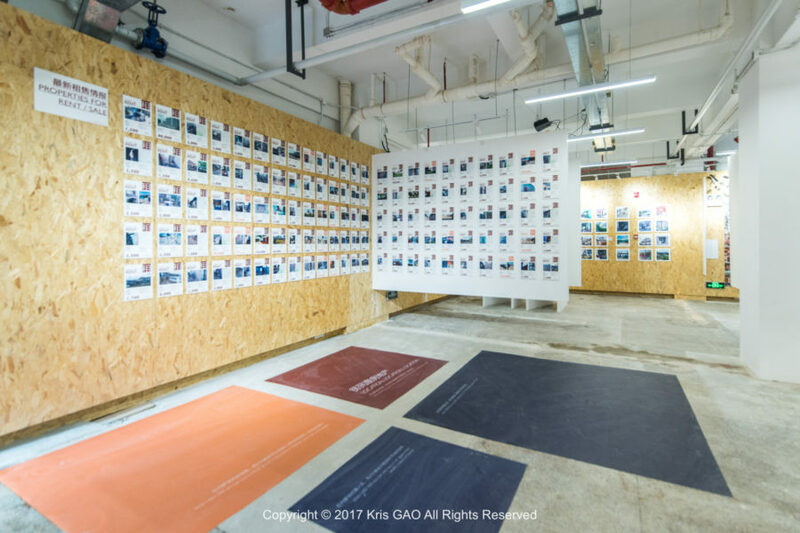 This fact, reflected on a projection on the floor in the exhibition, is accompanied by the fact that out of the 112 households, the majority of residents choose to stay in the slums. They tend to do so not only because of affordability, but also because of their proximity to work opportunities. Based on these facts and principles NGO’s like Placemakers have been intervening in public spaces together with the local community and other urban stakeholders, trying to bring the best practices to a bigger scale with programmes such as ‘Making Cities Together’ (2014-2018). By increasing the accessibility and value of public space, these interventions strengthen the social ties within the communities, and offer work opportunities for their members. The exhibition has been visited by hundreds of architects, designers, urban planner worldwide, as well as local residents and city authority of Shenzhen and nearby. The curators, including Zahra Kassam from KUWA Urban Spaces working on the Making Cities Together project, also participated in a panel discussion with practitioners and architects from other parts of the world. In the auditorium at the heart of Nantou Village, the curators shared ideas with Xiaodu Liu, one of the chief curators of the 2017 Shenzhen Biennale, Franklin Lee, an architect who practices extensively in informal settlements in Sao Paolo, (bau)m arquitectura’s Miguel Gentil and Javier Caro, who investigate South-North migration through the Southern Spanish border, Weijia Tian, an architect who works with professors and students on urban renewal in Havana, and Kang Shen, who works within a network of artists and students on micro design experiments in South Asia. The variety of contexts and shared experiences in working with / within informal settlements brought the discussion to heat, and interesting questions such as the concept of the Global South and the role of the state were debated throughout the conversation. “Location, Location, Location” as well as other inspiring exhibitions will be on show until March 2018. During this time there will be continuous workshops and public lectures inside Nantou Village, the once forgotten and abandoned part of the city, now injected with brand new ambience and reputation. Find more info on the Bi-City Biennale of Urbanism\Architecture online here. 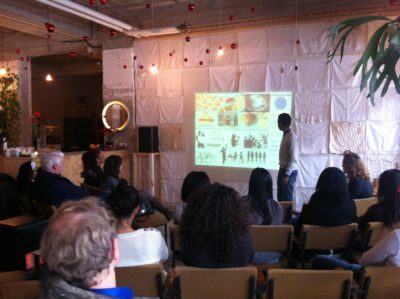 next post: Kom mee naar We Make The City gebiedsexpedities!